It’s the fourth month of the year and we have already seen two biopics on Indian political leaders. The third one was expected to make the most noise and here we are. 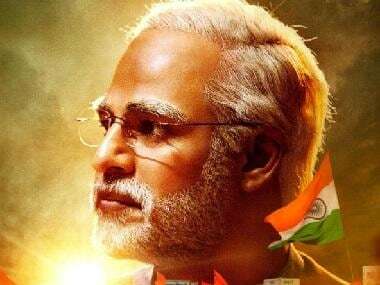 Decibels are rising around the release of the film PM Narendra Modi that is expected to hit theatres in three days. Meanwhile, five episodes of a web series titled Modi: Journey of a Common Man is quietly streaming on Eros Now. The series has been helmed by OMG! director Umesh Shukla, who has attempted to unravel Modi’s unconventional and adventurous journey into politics in 10 episodes. The makers have clearly nailed the timing of the release, but strangely, we can access only the first five episodes for now. These trace Modi’s life from his curious and quietly rebellious pre-teen years to him as a fiery youth in his mid-20s, working for the RSS to restore democracy in Gujarat in the Emergency era. There’s heavy focus on incidents that led to the shaping of his political acumen, which as the story tells us, was embedded in him right from his boyhood days. The series is based on Kishore Makwana’s book Common Man’s PM – Narendra Modi, and according to the disclaimer is a “hybrid of fact and fiction”. Those who cared to read the disclaimer were told, right at the onset, that “all characters have been fictionalized for dramatization”. A still from the trailer of Modi: Journey of a Common Man. Makwana is an RSS member himself. But, for the propaganda that this series appears to be, it doesn’t resort to bashing the Opposition. The writing by Radhika Anand and Mihir Bhuta shows restraint on that front. Indira Gandhi’s name has few mentions and the government is not referred to as Congress, but just “sarkaar”. The better part of the series acts like a primer on events during the Emergency, something that young India has limited knowledge of. The focus, however, never leaves its central character. 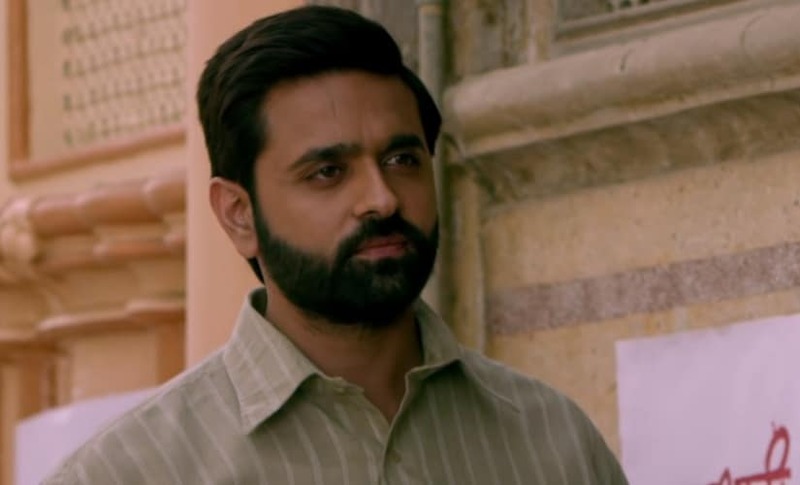 We see the Emergency unfold through the eyes of a quick-thinking 25-year-old Modi (Ashish Sharma), a master of disguise when he undertakes covert operations for the RSS. The then government had heavily come down on the organisation, banning it and arresting its leaders. We see Modi, under the mentorship of fellow member Lakshmanrao Inamdar, aka vakeel sahab (Makarand Deshpande), consistently hoodwinking the police. These chapters in his life play out almost like a spy thriller, replete with chase sequences and narrow escapes. The religious extremism of the RSS gets sidestepped in this retelling. The organisation, instead, is championed as one fighting against the Indira Gandhi government to restore democracy. Anti-dictatorship is the mood projected, which was the sangh’s rallying cause in the mid-70s. In one scene, Modi takes on a saffron-clad, self-proclaimed baba as he describes himself as “spiritual and not-religious” and says serving one’s country is the true meaning of devotion. It should, therefore, be interesting to see how the narrative plays out in season two, when the page turns to the Godhra riots of 2002. Shukla gives us a glimpse of Modi’s childhood in the small village of Vadnagar, when he was a street smart boy of 12 and quite a challenge for his teachers. Son of a tea-stall owner, he had a humble upbringing but not the kind where his family found it hard to make ends meet. We see the concept of social service and greater good being sown early on in his mind, as he discussed these lofty virtues with a trio of sadhus he would serve chai to. His family frowned upon his seemingly ascetic leanings but he would still find his way. We also get a hint of why he wasn’t keen on marriage, despite being engaged in his childhood. Ashish Sharma plays Modi from the 1970s. Screengrab from trailer. Faisal Khan as younger Modi plays his part well, however, his relentless questioning and over smart comebacks gets annoying after a point. The acting is dramatic and expressions unsubtle, but perhaps that was the brief given to him. Ashish Sharma as the Modi of the '70s is aptly cast as a resolute rebel. The actor aces the prolonged monologues in shuddh Hindi, getting mannerisms and enunciation down to pat. Watch out for the index finger pointing and the half smile. His humour, however, remains oddly placed. Makarand Deshpande surprises the audience with his clean shaven look. The maverick’s mane is iconic. 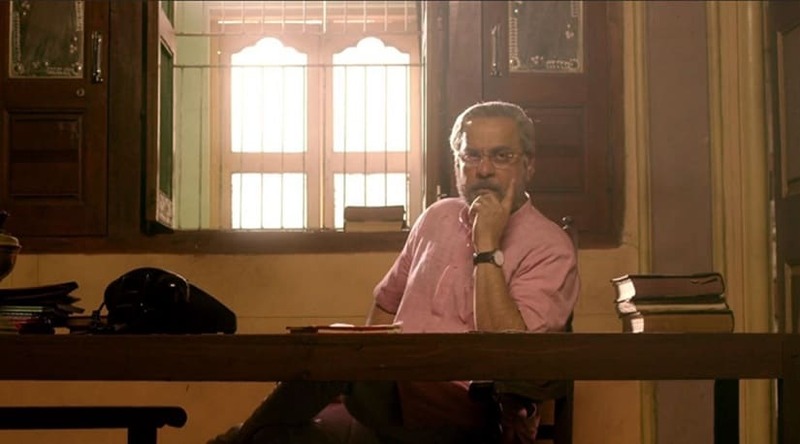 The actor adds a theatrical edge to his character of senior RSS member Inamdar, and mentor to Modi. His lofty throw of words comes across a little too ‘stage’ for film at times, though. Darshan Zariwala and Prachi Shah as Modi’s parents have not been given much to do but make their limited roles count. It is interesting to note that the writers of this series have completely done away with common Urdu words. Intezaar is apeksha; not maut, but mrityu and so on. There’s also some heavy duty Sanskrit as Modi continues to quote the shashtras time and again. The arguments are sound but the language gets tedious at times. Shukla clearly set out to make a mass-y watch and he manages to keep the 40-minute episodes mostly engaging, even though his direction falters at times. The content is not as propagandist as was feared, although we must bear in mind this is just the first five episodes that are a long way from the controversial years to come. But why get into that now, right?